Graduate students will further their learning about the unthinkables. Strategies and techniques will be taught and expanded teaching students how to think with their eyes, detect difficult situations and make flexible decisions. 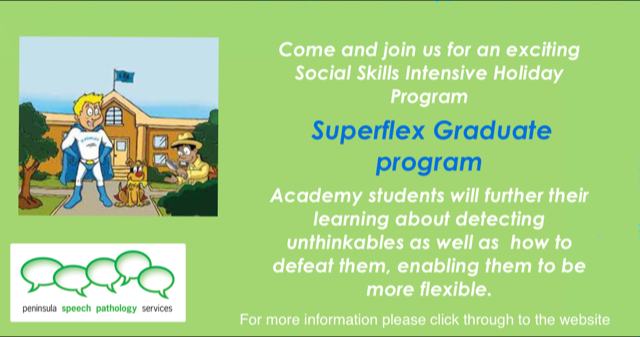 This group is targeted at 6-10 year olds who have had previous Superflex training. Deepen our understanding of how to be flexible thinkers. Cost: $425 (private) $435 (funding agency). Pre payment is required to reserve a place.